The Golden Boys are not scheduled to appear in Branson this year. For one night only in Branson, MO, sit back and enjoy the musical talents of three legends from the 50s and 60s as they come together to make The Golden Boys. 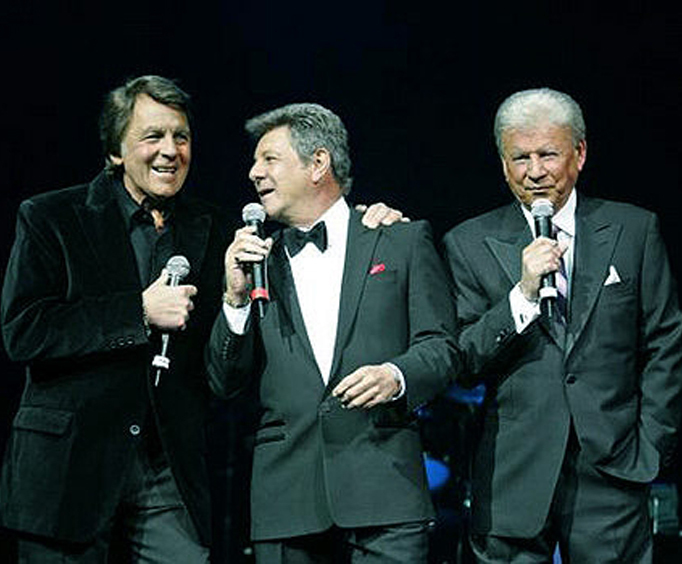 You’re sure to enjoy the show as Frankie Avalon, Fabian, and Bobby Rydell combine forces for a night filled with classic hits. All three of the talented performers achieved stardom at a young age and began their careers as teen idols. In addition to each star bringing a unique music style and personal set of hits to the show, they all have an impressive history with film and fill the stage with their bubbly charisma. More than just a pretty boy, Frankie Avalon’s career started at a young age with a four-year takeover of the music charts. In addition to plenty of hit songs, including “Venus”, Frankie had an exciting journey in the film industry. Not only did he star in Beach Party film series, you may know him as the deep-voiced teen angel who sang “Beauty School Drop-out” in the movie Grease. One of the most famous teen idols stemming from the late 50’s, Fabian rose to fame after several performances on American Band Stands. He has had eleven songs make it to the top 100, including hits such as “Turn Me Loose”, “Tiger”, and “This Friendly World”. In addition to his fame as a pop rock artist, Fabian enjoyed plenty of successes as an actor, starring in films such as Hound Dog Man and Mr. Hobbs Takes a Vacation. With a career spanning six decades, Bobby Rydell found success as a teen idol and has sold more than 25 million records to date. With more than 34 top 40 hits to his name, including songs like “Wild One”, “We Got Love”, and “Forget Him”, Bobby has had quite the influence on pop music— in fact, “Rydell High” in the movie Grease was named after him. Similar to the other members of The Golden Boys, Bobby also dabbled in film, most notably as the star of Bye Bye Birdie. 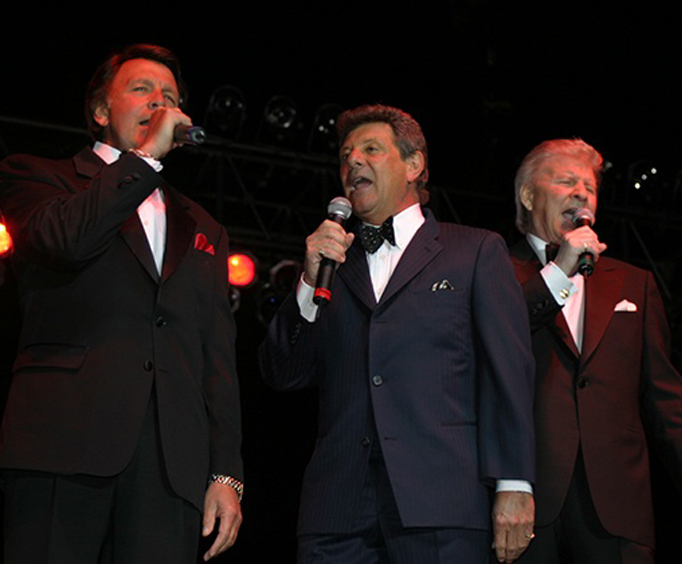 Do not miss your chance to see three of the most legendary stars from the 50s and 60s come together at the Andy Williams Moon River Theater for a captivating performance as The Golden Boys.